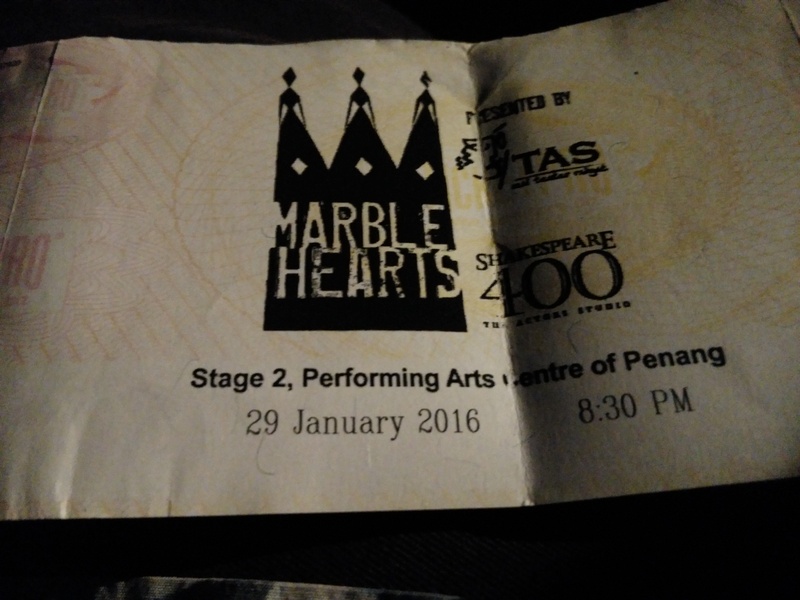 I saw the new play “Marble Hearts” tonight at the Penang Performing Arts Centre. “Marble Hearts,” written and directed by U-En Ng, was really a tale of two halves for me. One I thoroughly enjoyed, the other that seemed to needlessly meander around too much for my taste. I’ll explain shortly. “Marble Hearts” is a play based on the three daughters of King Lear – Goneril, Regan, and Cordelia. It was written for the 400th anniversary year of Shakespeare’s death as a contemporary tale to delve into the daughters’ sordid deeds. 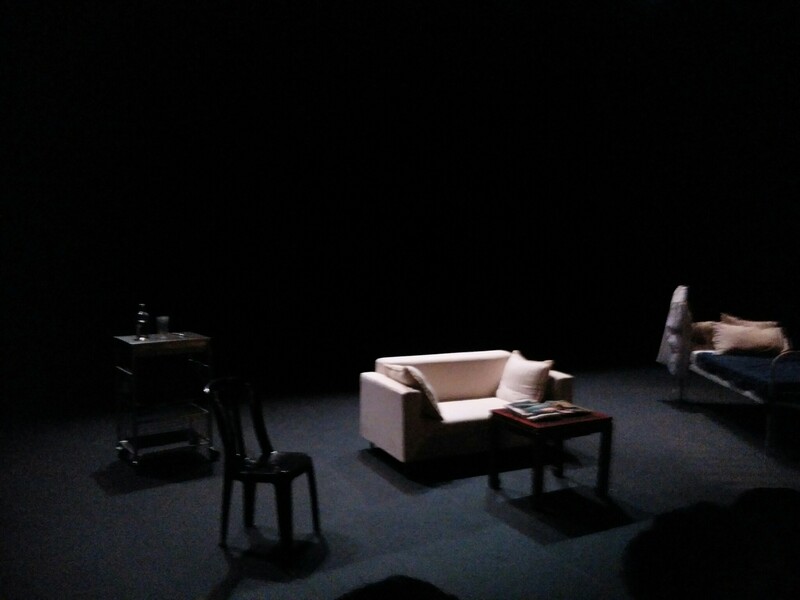 The set was sparse, performed in the small black-box theatre, which gave the audience little to focus on except the dialogue and actors themselves. Let me start with what I really enjoyed. Act II was a gripping ending to the piece as the desperately conflicted Cordelia is being held in an insane asylum, treated by two doctors who look remarkably like her sisters. I won’t give it away why this is the case. Marina Tan stole the show in Act II as the head-shaven, insane Cordelia, going back and forth with several delightfully disturbed personalities, as the sordid business comes to a close with the doctors wanting to … well, I won’t tell you what they want to do. Act II was good theatre with sharply defined images of place, circumstance, plot, and dialogue. Watching Act II made me wish the narrative flow of the play had been completely inverted. The one-hour Act 1 lacked the gripping visuals and vividness of Act 2. I would have liked to have seen the play start with the insane Cordelia in the mental home. This would have been an immediate connection with the audience, something that was lacking in the first part. The transformation between the mental facility (and maybe even a warped sense of time) would have presented some fun transitions and, I believe, enlivened the crowd more by having them guess along as to why Cordelia ended up in this way. Most of the action in Act 1 was implied, the insaneness of King Lear, the craziness of their household being taken over by “knights,” the scandalous ladies being brought in to serve the needs of the “knights.” So much was going on, and we saw none of it. All of it far away, being talked about but not experienced by the audience. Re-written sequences with appearances by the “King” himself would have added much dramatic potential to the piece. Yes, it is about the sisters, but there’s no reason the king couldn’t have made an appearance. And even though it was a modern play, I felt like the time and place of Act 1 was not well defined. I couldn’t tell who their insane father was supposed to be in this modern world, and pointed jabs about immigrants and socio-economics did little to light the way for the audience. But despite some of the weaknesses of Act I, Act ll was a vivid and gripping piece of theatre thanks to Tan’s wonderful performance. This review is strictly my opinion, but you should formulate your own. The show finishes this weekend. Please go check it out. 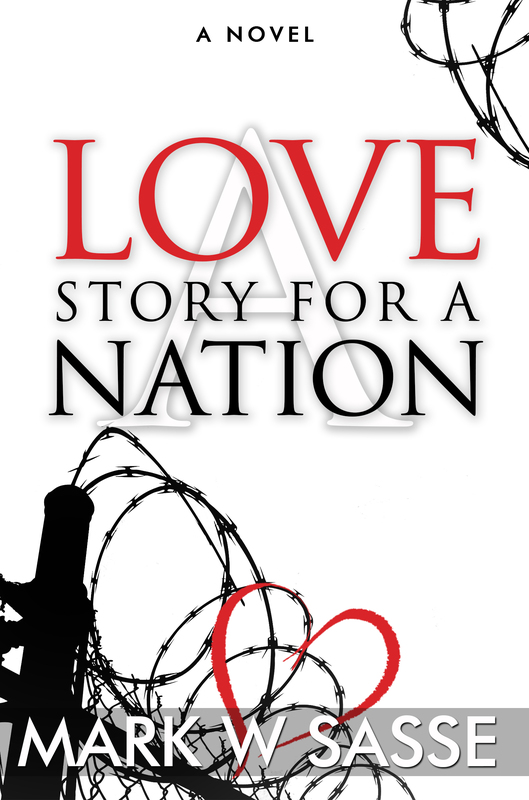 Charlene from Literary R & R posted her review of A Love Story for a Nation. Please head on over to Literary R & R and read the Full Review. I’m humbled to have Colleen Cheseboro from Litworldinterviews to give such a great review of The Reach of the Banyan Tree. Please head on over to LitWorldInterviews and read the entire review. It gives some great insight into the story and into my writing: Read full review HERE! And there’s a great promotion coming up this week for Banyan Tree. Watch for details soon!